I was first introduced to Nick Gilder when his song played on Spotlight, a K-Tel album from 1978. And I was instantly taken by it. Recently, I picked up an unopened copy of Nick Gilder's 1978 album, City Nights. 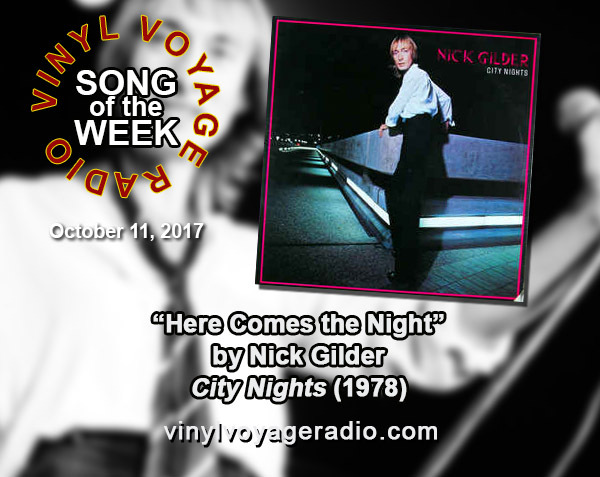 For this week's Song of the Week, we are featuring "Here Comes the Night." "Here Comes the Night" can be heard at 10am and 10pm Central on Wednesday, then throughout the week. Take a listen to the song being played for the first time on vinyl below.